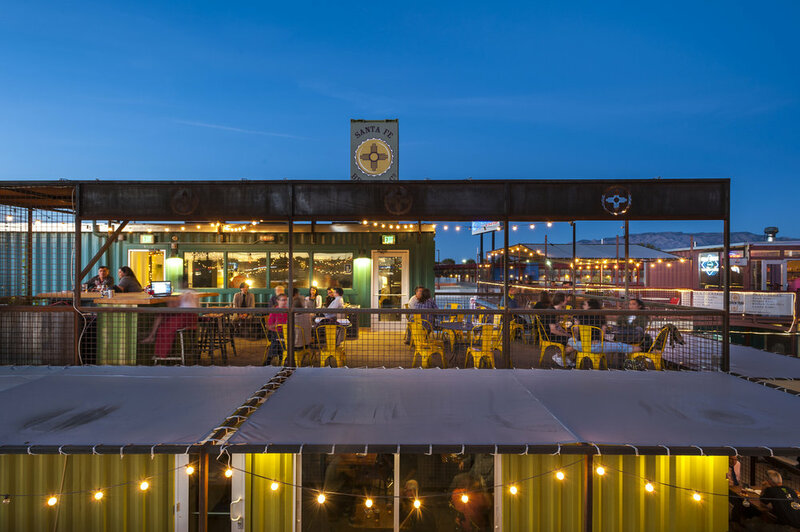 Already a New Mexico institution, Santa Fe Brewing, Co. has opened its first Albuquerque Taproom at the site of Green Jeans Farmery near Carlisle Ave. and I-40. 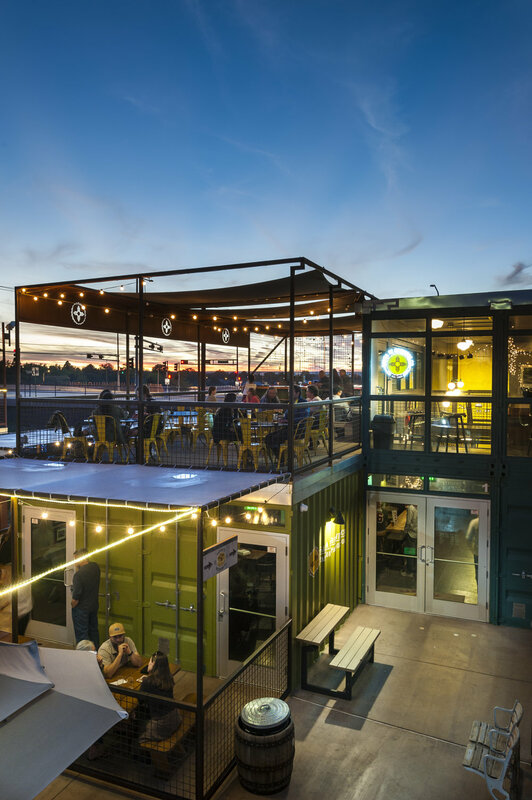 The taproom consists of 8 high-cube shipping containers. The double height space of the main entry creates an openness and view of all areas. The project features and outdoor patio on the second floor with great views of the Volcanoes to the West and the Sandia Mountains to the East. The Santa Fe Brewing Company Albuquerque's Taproom is a must see stop in Albuquerque.